PT Bike Fit is a professional service helping cyclists of all disciplines achieve their cycling goals from the touring rider, gran fondo rider, road racer, mountain biker, and time trialist. Each rider has unique needs that can be met through the proper bike fitting. Cycling is a sport that is widely accessible and a great example of meshing body and machine. To achieve the best success on your bike whether you are casually touring or racing for those valuable upgrade points, your fit will be an integral part of your success and enjoyment of the sport. To be comfortable and perform well you require a good position that will minimize risk of injury, apply power to the pedals over long periods of time, and handle the bike in an agile and natural way. Motion Capture Video: PT Bike Fit uses the latest technology to assess your position including Motion Capture Video. Motion Capture Video will capture your position during the most important time, while you are riding. Multiple joint angles can be assessed through slow motion video and still motion snapshots extracted from the video to verify your position. 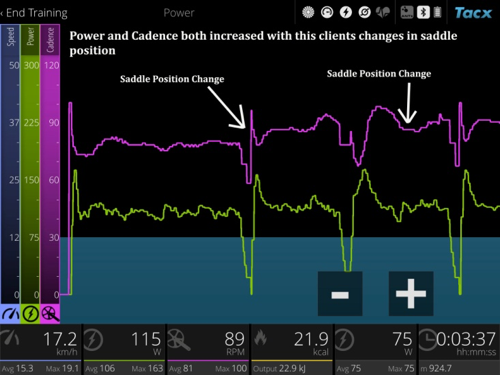 Live Power and Cadence Feedback: Live readouts of your power and cadence confirm the positive changes being made during your fit. 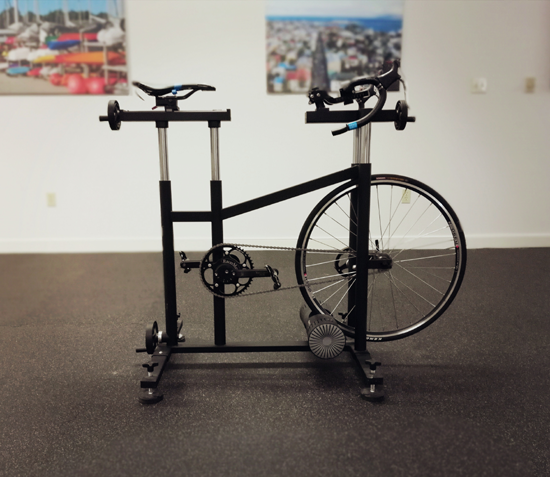 PT Bike Fit is a Professional Bike Fitting Service in Lancaster County, PA. Lancaster is central to many local cities including Reading, Harrisburg, York, Philadelphia, and Baltimore. 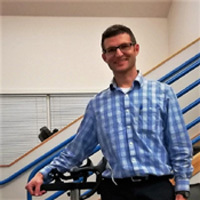 Marty McKeon, MPT is a SICI Certified Fitter and Physical Therapist using proven methods, Dynamic Motion Capture, and EXiT Fit Bike to achieve the best bike fit and result for you. With the right fit, your bike will work for you, rather than you working to fit the bike. Marty McKeon, MPT is a certified fitter through the Serrotta International Cycling Institute (SICI), uses his knowledge of anatomy and kinesiology (the study of human movement), and draws on his lifelong cycling experience to provide you the best experience on your bike possible. The EXiT Fit Bike is a completely dynamic machine which allows the easiest changes between positions. 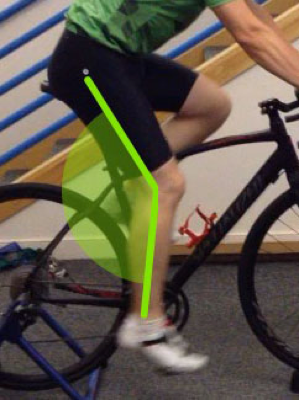 Bike position can be replicated using stack and reach numbers or X/Y Tool measurements. Get fit for your dream custom frame! Bike fitting is the process of methodically aligning your body in a position where the repetitive strain on muscle and joints is minimized, pressure in vulnerable points is reduced, and your body is allowed to function at its peak for the greatest amount of time.